Aubrac, Lucie. 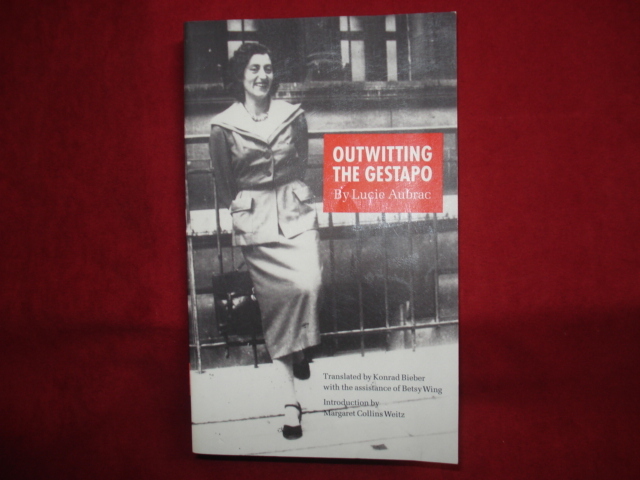 Outwitting the Gestapo. Photo available. Lincoln. University of Nebraska Press. 1994. Octavo. Soft cover. Reprint. Illustrated. Fine copy. Ausgabe, Deutsche. Dachau. Dachau. np. nd. Octavo. Soft cover. First edition. Illustrated in black, white and color. Fine copy. Averill, Esther. Eyes on the World. the Story and Work of Jacques Callot. His Gypsies, Beggars, Festivals, "Miseries of War" and Other Famous Etchings and Engravings, Together with an Account of His Days. Photo available. New York. Funk and Wagnalls. 1969. 4to. Hardcover. First edition. Illustrated. Important reference work. Fine copy in near fine (very spine sunning) dust jacket (in mylar). Avinoam, Reuven (ed). Such Were Our Fighters. Anthology of Writings By Soldiers Who Died for Israel. Photo available. New York. Herzl. 1965. 335 pps. Octavo. Hardcover. First edition. Fine copy in near fine (light shelf wear) dust jacket (in mylar). Avishai, Bernard. The Tragedy of Zionism. Revolution and Democracy in the Land of Israel. New York. Farrar, Straus & Giroux. 1986. Octavo. Soft cover. Reprint. Fine copy. Avnery, Uri. Israel Without Zionism: A Plan for Peace in the Middle East. New York. Collier. 1971. 278 pps. Octavo. Soft cover. Fine copy. Avriel, Ehud (1917- ). Open the Gates! A Personal Story of ÔIllegal' Immigration to Israel Preface by Golda Meir. New York. Atheneum 1975. Octavo. Hardcover. First edition. Very good copy. Light shelf wear. Axelrod, Alan. Little-Known Wars of Great and Lasting Impact. The Turning Points in Our History We Should Know More About. Photo available. Beverly. Fair Winds. 2009. Octavo. Soft cover. Illustrated in black, white and color. Fine copy. Axelrod, Alan. 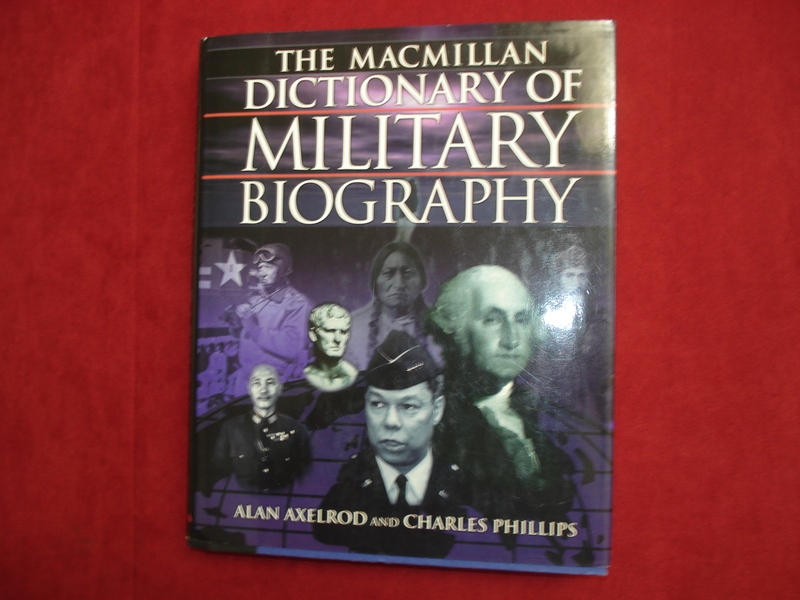 The Macmillan Dictionary of Military Biography. Photo available. New York. Macmillan. 1998. Octavo. Hard cover. First edition. Illustrated. Fine copy in fine dust jacket (in mylar). Axelrod, Toby. Hans and Sophie Scholl. German Registers of the White Rose. Holocaust Biographies. New York. Rosen Pub. 2001. 111 pps. Octavo. Hardcover. Stated first edition. Illustrated. Important reference work. Fine copy. Aycoberry, Pierre. The Nazi Question. An Essay on the Interpretations of National Socialism (1922-1975). New York. Pantheon. 1981. Octavo. Soft cover. First edition. Near fine copy (very light shelf wear). Ayoob, Massad. The Gun Digest Book of Combat Handgunnery. Photo available. Iola. Krause. 2002. 255 pps. 4to. Soft cover. Fifth edition. Illustrated. Important reference work. Fine copy. B, Monty. A Sniper's Conflict. 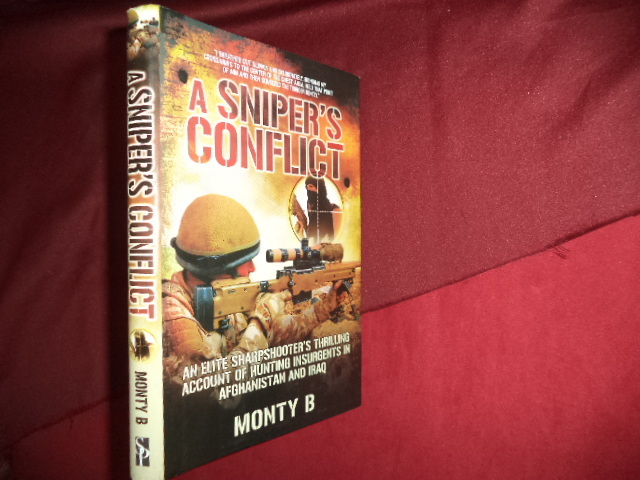 An Elite Sharpshooter's Thrilling Account of Hunting Insurgents in Afghanistan and Iraq. Photo available. New York. Skyhorse. 2014. 198 pps. Octavo. Hardcover. First edition. Full number line. Illustrated in black, white and color. Important reference work. Fine (small owner name on end paper) copy in fine dust jacket (in mylar). Babin, Lenard L. Japanese War Medals, Orders - Decorations. Illustrated Priced Catalogue. Rochester. Self published. nd. 8 pps. Octavo. Soft cover. First edition. Illustrated. Important reference work. Fine copy. Bach, Margot Shinnamon et al. Forty Years of Leadership. 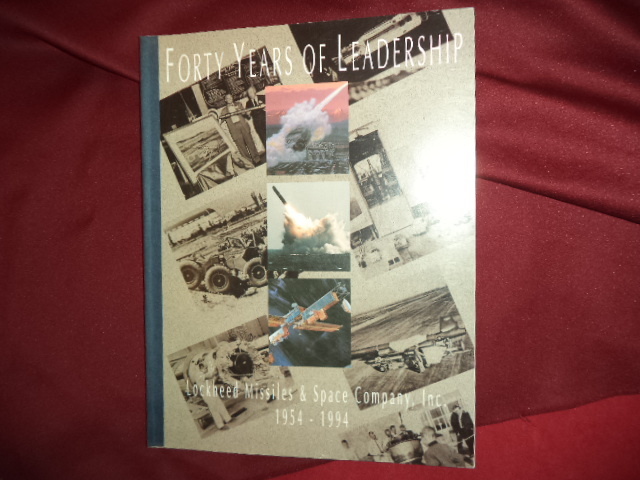 Lockheed Missiles & Space Company, Inc. 1954-1994. Photo available. np. Self published. c. 1994. 73 pps. 4to. Soft cover. First edition. Illustrated. Important reference work. Scarce. Fine copy. Bachle, Rosemary Eckroat. 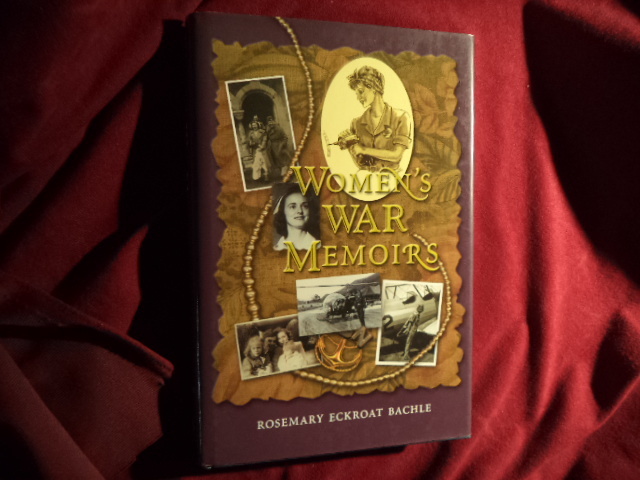 Woman's War Memoirs. Inscribed by the author. Photo available. Waco. Western Heritage Books. 1999. 265 pps. Octavo. Hardcover. First edition. Illustrated. Important reference work. Inscribed by the author "To Mage Duncan Memories are forever Rosmary Eckroat Bachle". Fine copy in fine dust jacket (in mylar). 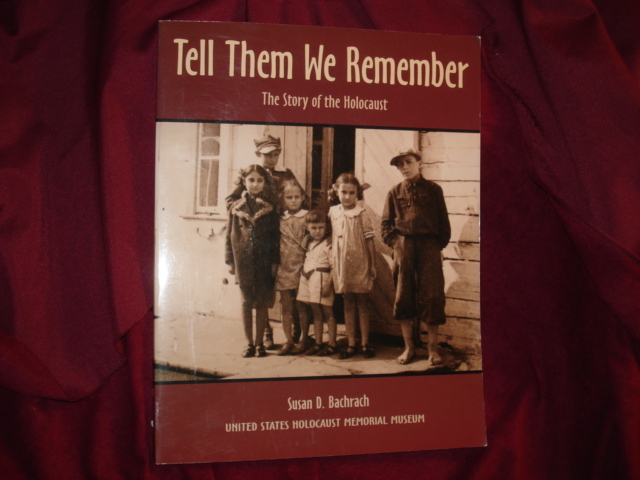 Bachrach, Susan D. Tell Them We Remember. The Story of the Holocaust. Photo available. Boston. Little, Brown Co. United States Holocaust Memorial Museum. 1994. Octavo. Soft cover. First edition. Illustrated. Fine copy. Backer, John H. Winds of History. The German Years of Lucius DuBignon Clay. Photo available. New York. Van Nostrand Reinhold. 1983. Octavo. Hard cover. First edition. Illustrated. Fine copy in fine dust jacket (in mylar). Bagby, Milton (ed). Private Soldiers and Public Heroes. An American Album of the Common Man's Civil War. Nashville. Rutledge Hill Press. 1998. 4to. Hard cover. First edition. Illustrated. Fine copy. Bailey, Thomas. Hitler vs. Roosevelt. The Undeclared Naval War. New York. Free Press. 1979. Octavo. Hard cover. Reprint. Illustrated. Fine copy (owner blind stamp) in fine dust jacket (in mylar). Bailey, Thomas. Hitler vs. Roosevelt. The Undeclared Naval War. Photo available. New York. Macmillan. 1979. Octavo. Hard cover. Reprint. Illustrated. Fine copy in fine dust jacket (in mylar). Bailey, Thomas. Hitler vs. Roosevelt. The Undeclared Naval War. Photo available. New York. Macmillan. 1979. Octavo. Hard cover. First edition. Illustrated. Fine copy in fine dust jacket (in mylar). Bailyn, Bernard. To Begin the World Anew. The Genius and Ambiguities of the American Founders. Photo available. New York. Alfred A. Knopf. 2003. Octavo. Hard cover. First edition. Illustrated in black, white and color. Fine copy in fine dust jacket (in mylar). Bainbridge, E. Gordon. The Old Rhinebeck Aerodrome. The Story of Cole Palen and His "Living" Aviation Museum. Photo available. Hicksville. Exposition Press. 1977. 123 pps. Octavo. Hardcover. First edition. Illustrated. Important reference work. Fine copy in fine dust jacket (in mylar). Baker, Lillian. The Concentration Camp Conspiracy: A Second Pearl Harbor. Lawndale. AFHA. 1981. Octavo. Soft cover. First edition. Illustrated. Fine copy.